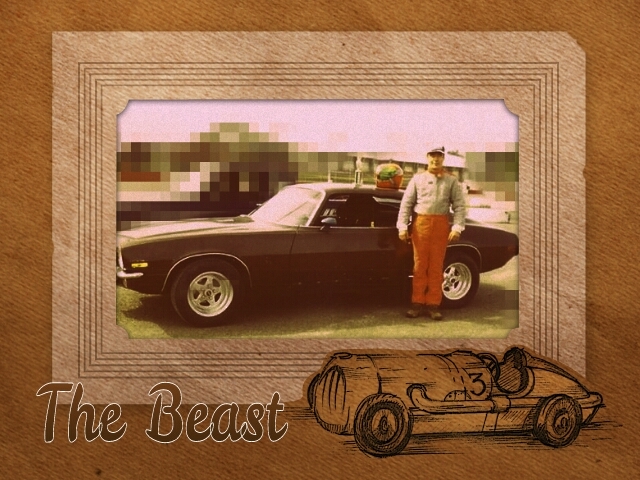 This is Randy’s 73 Camaro….It has a 500 horse small block and another 250 horses available on the NOS bottle….It has been called the Beast since he built it. It has 3 inch exhaust all the way back….so it’s fast AND loud. We hit a deer with it and he is now getting it back together.